I imagine so because that’s the weekly (or rolling, if on edge) release of communitheme and the 18.10 Deb is static? Can yaru.snap still be used on 18.10? Will this new changes be applied when available? Why yaru.snap was not the default in 18.10? This new feature works for snap applications also? This is the current look of nautilus 3.30 on Cosmic. I installed it from the Cosmic GNOME3-staging PPA. I guess that the orange underline in the headerbar should be trimmed a few pixels shorter? 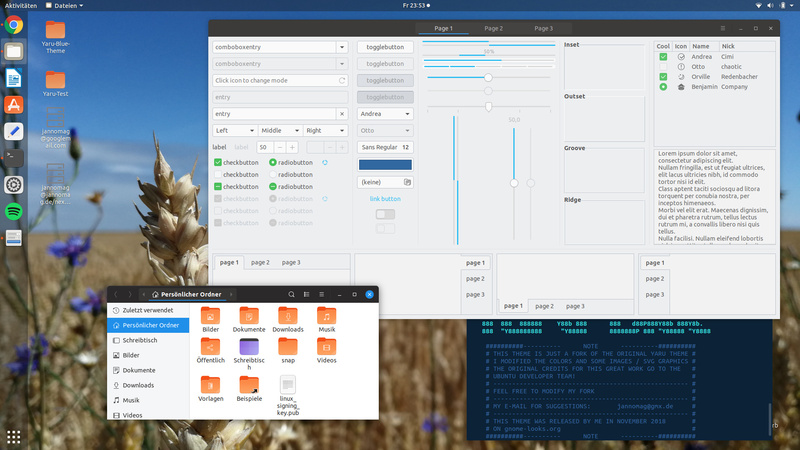 I wanted to ask here for testers for my Yaru-Blue GTK and Gnome-Shell theme! Yes, this will be replaced, this was the only way I found to recolor the login screen (not lock screen). I would really appreciate it, if I can get feedback. For the future I plan to modify the icon pack and maybe add an option for color choosing while installing. The theme can be downloaded here. Wow! You can make same for Mate with green color? Do you mean the GTK theme for MATE in typical MATE green? Pretty sure @Wimpress would be interested in making it (or something like it) the default in Ubuntu MATE if it worked out! 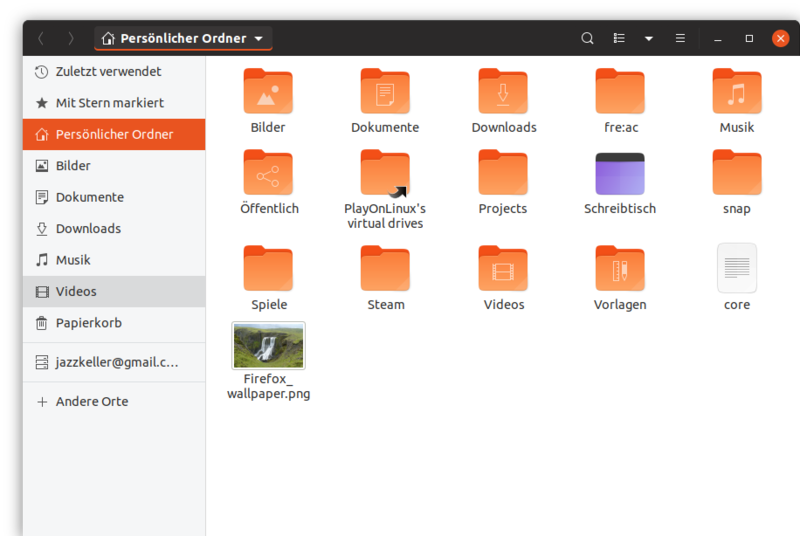 There’s screenshots of that Ubuntu flavour on its website, seems like they kept the orange in the close button but you could attempt to change that with Yaru-Green/Yaru-MATE. Absolutely, I’m away tonight but can send more squircles when I get back tomorrow? If the grey affects the tone, then making the squircle white would fix that, but at the expense of removing the lighter highlight at the top edge (because there’s no longer any difference between normal and highlight in the base squircle). I suspect the optimal solution would be if I provided two separate layers for each squircle: one png with the shape in white and one with extra details like the highlights (which are semitransparent white). If you colourise the squircle and then superimpose the other layer on top, you should get perfect colour without losing the Suru highlight on the top edge. I am interested in using Yaru in Ubuntu MATE, but we’d need to keep the accent MATE green. Of course, take all the time you need. I’m working on it. I tried to work with variables inside the gtk.css but this didn’t work. I don’t know how less/scss work and this is also too much work to learn it for me. So, I need to create a MATE color palette and modify css and graphics. It’s not hard to do it but it takes time. 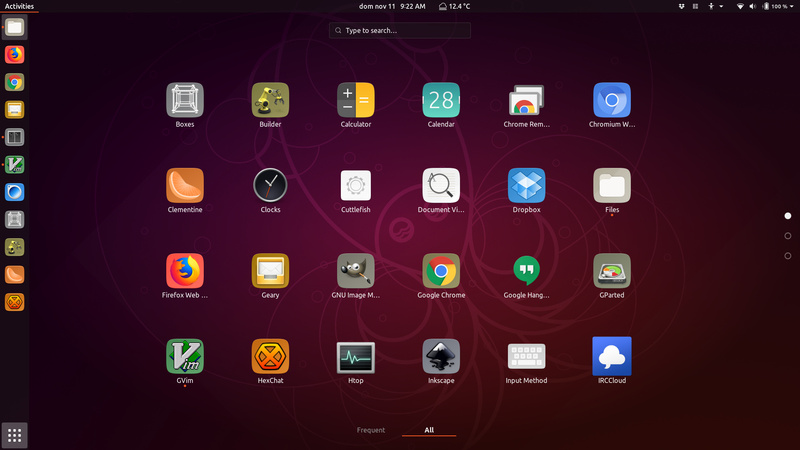 This is also possible, but there are still some graphics for GTK2 and Gnome-Shell. There are alsoore colors to change and the scss needs to be compiled. Replacing the colors is easy and quick. @c-lobrano if you check your mail, I’ve sent you some pngs for the two layer approach. But I’ll also send a one layer version that’s almost white in case the two layer version doesn’t work.